What Goes Into a Gamemode? Over the past few Clash and Luau tournaments we have created and used at least 21 different game modes so far. We wanted to change up the way pvp worked in our tournaments. Each game mode has a different unique rule set active ranging from spells to gear. What is the process to think of and create a game made though? Well every game mode had to start as an idea, and there are normally a lot of those. A few of the ideas would be developed and then play tested by referees and adjusted until we are satisfied with it. They could also be created out of the remains of a created game mode that didn’t work out so well but we were able to make work. Others have been inspired by other card games we have played. The game modes we have created throughout our tournaments could range from simple ones like Maximum Disrespect to complex ones like Color Me Rad. 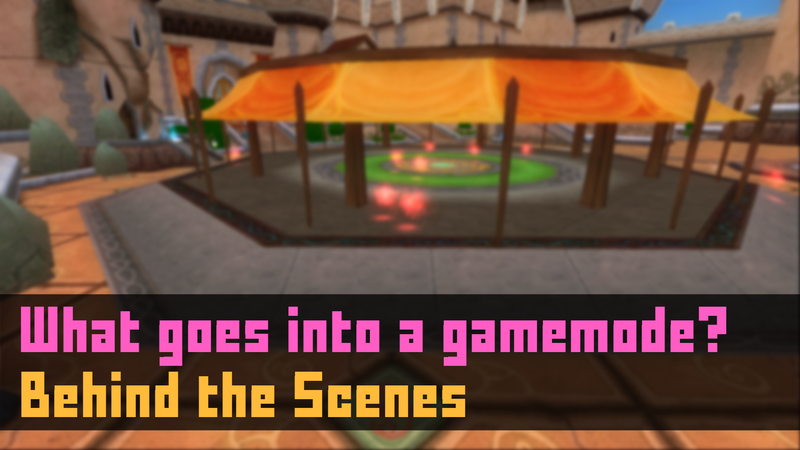 Here are a few backstories behind some game modes and how they came to exist. 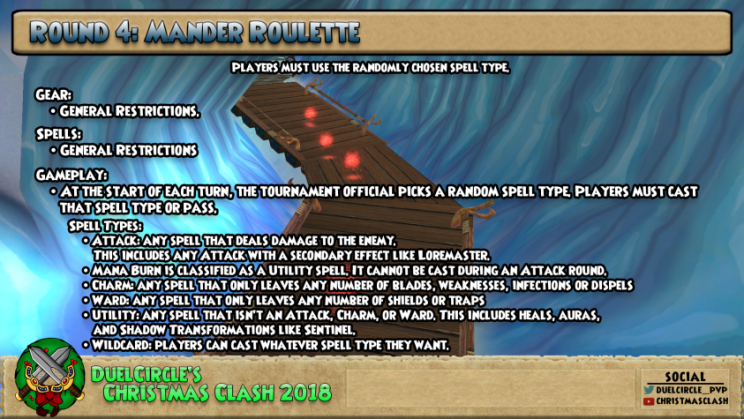 This game mode was originally created and used in Clash 2015, first called Polarian Roulette. The idea of this rule set was a program decided what type of card would be played that turn. There was a chance of an attack, charm, ward, utility, or a wildcard. If a player couldn’t play the spell type picked they could do nothing but pass that turn. 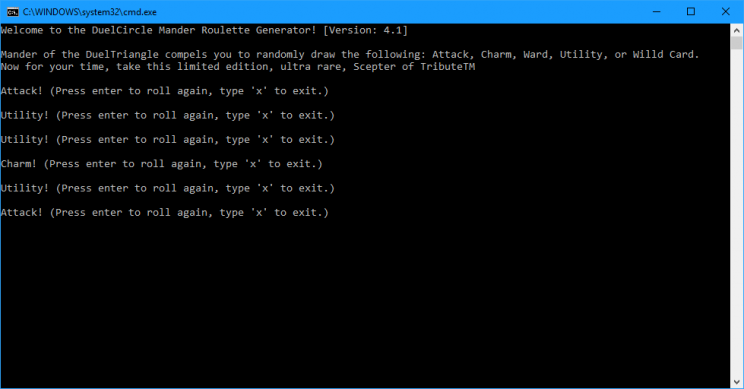 It was later renamed to become Mander Roulette to fit our Manders theme and the technology used was updated. The first time we ever used this one was in quarter finals of our first Clash tournament. We had created and gave referees a file to use and it worked by they hit a button in the program and it would spit out 1 of 5 options and then we would tell the participants what spell cards they had to use during that round. A bot named Manderbot was later developed by Ryan to be able to announce the card type in twitch chat in 2018 and make things way easier and smoother. This was and still is one of my favorite ones we’ve created and one of the most used game modes over the years. Here’s a picture of what the file we used as a referee looked like. There are two versions of this file but this is the most recent one that was created before the bot. This game mode was originally gonna be Odds and Ends until several problems were discovered in play testing that lead it to be scrapped and thrown in the game mode graveyard. 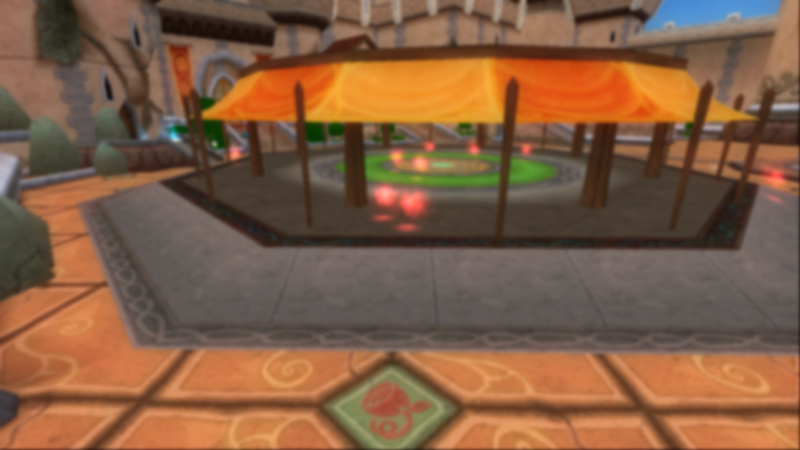 Some schools were left with not good spells but the major problem discovered was the gear available to be equipped. You could only use gear with an odd level requirement. If you didn’t farm any cabal gear which was the best gear at the time you were ultimately left using level around 50 gear from the bazaar that would’ve left participants at a huge disadvantage compared to others. During testing one of the referees suggested why not limit the spells that could be used and lift the gear restriction and see if that works. The only spells that were able to be cast were 1-3 pip spells including the x pip spells. At first when testing this I didn’t think this would work, but it surprisingly worked and we decided to use it in Luau 2018. You would be surprised how much a damage a 3 pip spell could do to a max level. 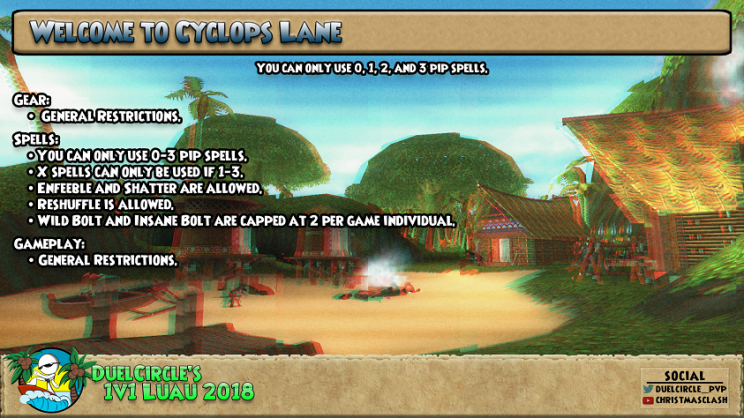 We named it after Cyclops Lane because as you were leveling through Wizard City you only had access to the lower pip spells you learned from your teacher at Ravenwood. The way this one was played was inspired by the popular card game Hearthstone. In Hearthstone to use a card you need to have the amount of mana of the card, and you gain one mana each turn. 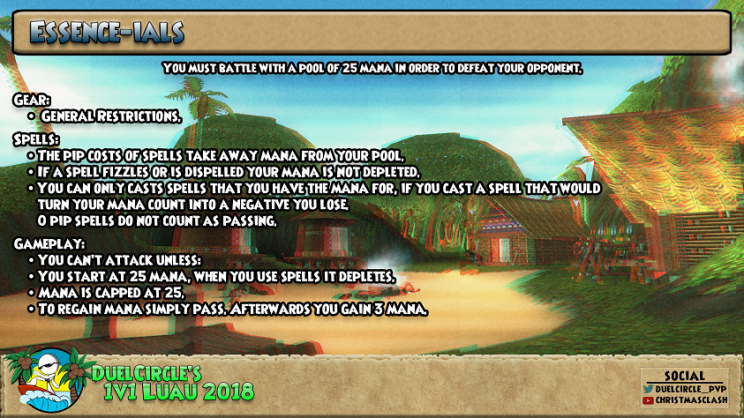 In this game mode participants started the match with a 25 mana pool and they had to keep track of how much mana they used when casting spells. Mana would only be used if spells were successfully cast and didn’t fizzle and if you reached 0 or got low you had to pass on your turn to gain 3 mana. This was used in Luau 18 finals for the first and only time. While these are only 3 of the 21 game modes we have thought of and used, we still have plenty more to be created. There are some big ideas here at DuelCircle coming to life and we can’t wait for you guys to see them during Luau and Clash 19. On the topic of game modes, which ones did you guys like the most out of the past ones we have used in Luau and Clash? What do you guys wanna see us do for a future game mode? Check out our Luau x #FansiteFest announcement article here!